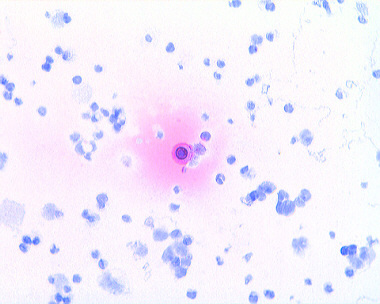 Examples of enriched blood samples seeded with BT474 cells. 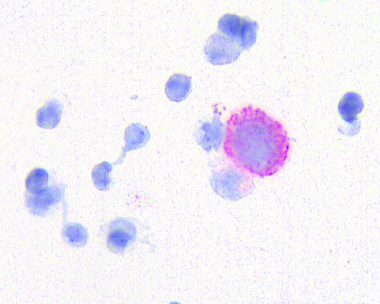 These slides were immunostained using an anti-cytokeratin 8 primary antibody and alkaline phosphatase detection. 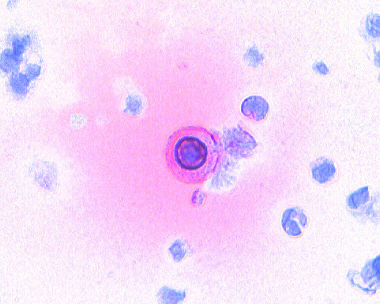 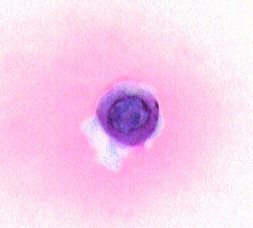 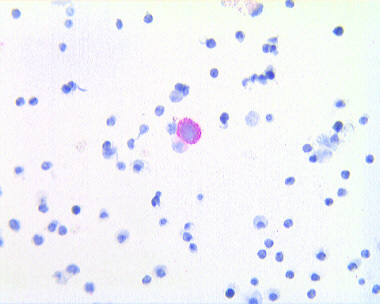 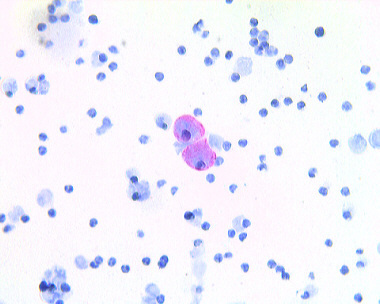 The following cells were stained without target retrieval. 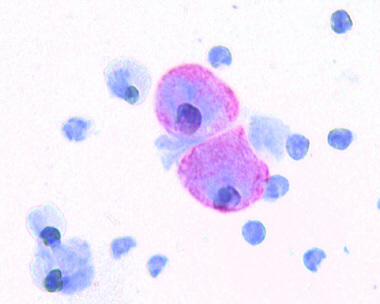 Note the superior detail in the nucleus and the highly visible cytoplasmic staining.